Tumbler Ridge is a hidden gem in the North East of BC. Nicknamed the "Shangri-La of the Rockies" it is natures reserve for those seeking rest, rejuvenation, and tranquility in a soul-restoring setting. It's breathtaking trail systems lead to mountain summits, waterfalls, canyons, caves, dinosaur tracks and so much more! WIth its magnificent landscapes, waterfalls, and abundant wildlife, it is refreshingly more natural than any other part of the world - Perhaps that's the greatest beauty of Tumbler Ridge. 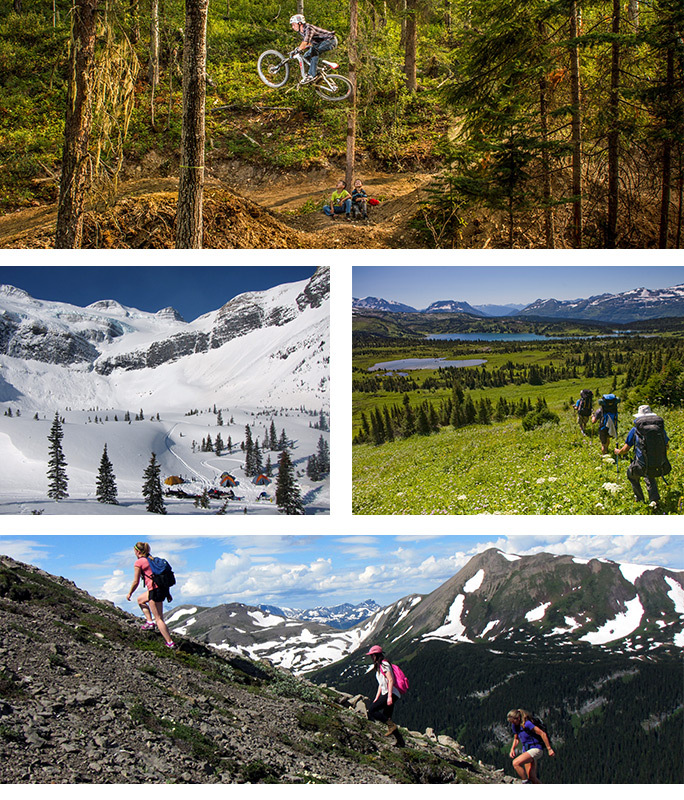 Tumbler Ridge is a year-round, outdoor adventurers and nature lovers playground, for all ages. With it's endless opportunites, you could enjoy a day hiking some of our 37 signed hiking trails, go canyoning down cliffs, walk where the dinosaurs walked, go riverboating, sledding in the mountains, or enjoy a relaxing game of golf. Either way, with its endless seasonal recreation opportunities, you will be left with a treasured lasting impression. Check out our Adventure Stories to get ideas for your next adventure! With so much to explore, there is more yet to be discovered - maybe by YOU! For more inspiring ideas check out the Adventure Gallery! “Maybe it was an ankylosaurus,” jokes the guide". Step back in time and read this brief story about a guided lantern tour to a real dinosaur track way! "It comes as a shock to the system. Rounding the last corner in the jet boat..."
Do you hear that? Nope... "No cars, no trains, no sounds of people rushing about in their day to day life.” It's the sound of Nature! "While there are places you can go for days and even weeks around here without seeing another soul, most of the trails have been built with the day-tripper in mind." Follow the link to find out about this gentleman's day trip experience.